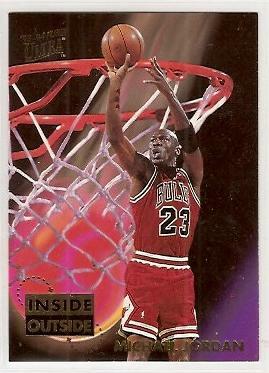 1993-94 Ultra Inside Outside insert card of legendary Chicago Bulls superstar Michael Jordan. NrMt-Mt or better. ONLY ONE AVAILABLE FOR SALE.